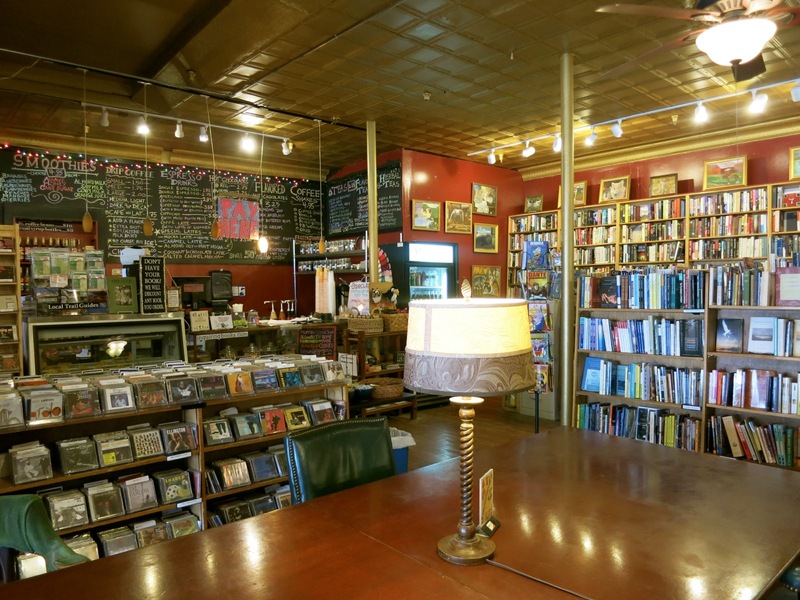 WHY GO: Budget Travel Magazine once deemed Saugerties one of the Ten Coolest Towns in America, but I’ll also add that it’s one of the most down-to-earth, friendly and community minded, with not just one, but two independent bookstores. 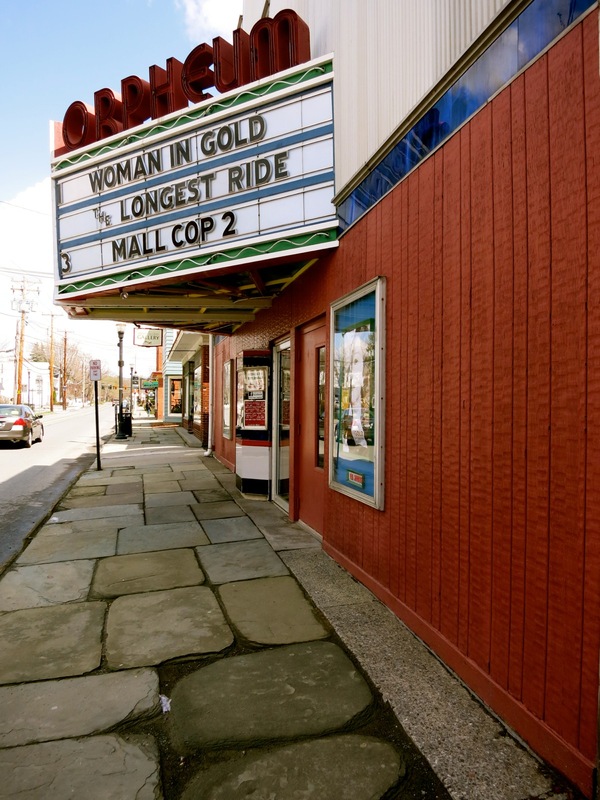 (As well as an indie movie theater and a slew of owner-run shops). So, it’s no big surprise that the kindest and most gracious late-night talk show host, Jimmy Fallon, was raised in Saugerties. There’s, a wonderfully inviting yarn and tea shop where even the biggest klutz (me) can learn to knit, emerging artist galleries, the “crafting kitchen” and spa for one of NYC’s most well known organic and holistic skincare lines, a beautifully restored lighthouse offering overnight accommodations, a sanctuary for abused and neglected farm animals, an inn and event venue resurrected on the footprint of an old paper mill, and plenty of great places to eat. 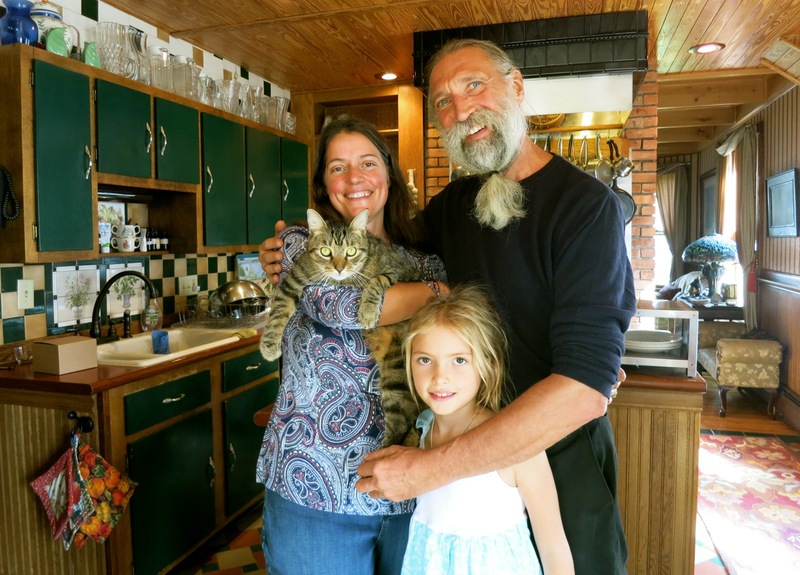 Saugerties folks are deeply tied to and proud of their town, with good reason. Come see why. DO: Learn to knit at The Perfect Blend Yarn and Tea Shop. Owner Mary Ebel never met a person who couldn’t learn to knit under her tutelage, and she had quite the challenge with uncoordinated me. Ebel totally rose to it. Within an hour, I learned to cast-on and knit a rudimentary stitch, all while sipping freshly made tea and yakking with fellow knitters. When I messed up, she was right there to help. Ebel’s shop is colorful and warm (both in temperature and temperament), with a variety of yarn at different price points. Some are even locally dyed. Needle-workers drop in all the time for advice; to purchase knitting material; or to take one of the classes offered five days a week ($10 per class, $20 for “specialty” classes). 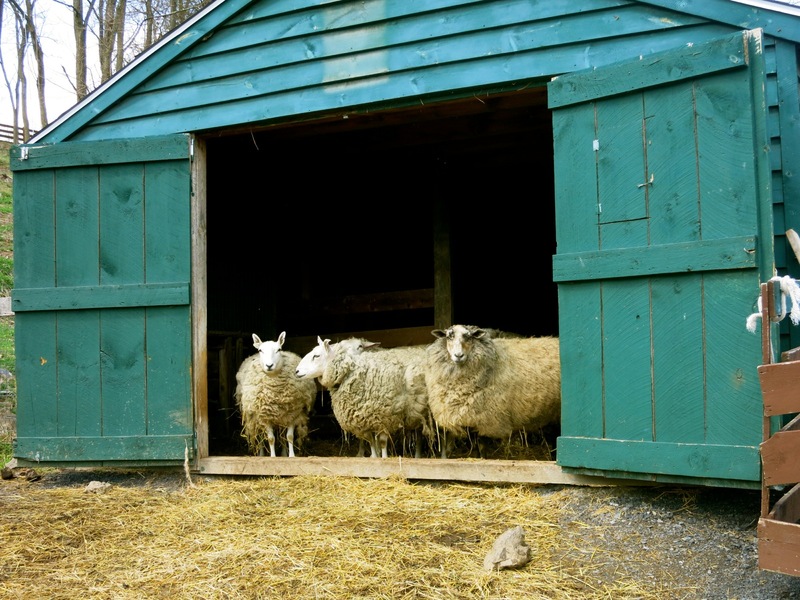 During the famous New York Sheep and Wool Festival – 30 minutes away in Rhinebeck – Ebels estimates that over 2,000 people come into her small shop throughout the week. Open Mon-Fri 11-6, Sat 10-4, Sun 12-4. DO: Facial or Massage at Savor//Beauty + Spa. It seems incredible that all the organic products for three Savor Spas in Manhattan (one in the West Village, one on the Upper West Side, and a pop-up in NoLita) and the only Savor//Beauty outside of NYC, is made right here, upstairs, and then shipped all over the world. 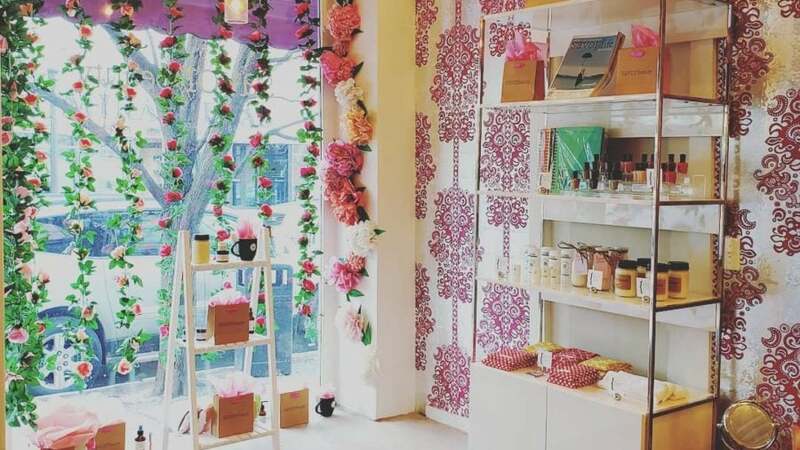 The Spa/Salon is a confection of a space: a little bit glossy, a little bit floral-pop. Savor Beauty founder, Angela Jia Kim, points out that Koreans are “obsessive about skin care.” Her mother “always had something new sent from her sisters in Seoul.” A concert pianist by training, Kim had an epiphany after using a new hand lotion and breaking out in hives right before a performance. She started messing around with natural organic ingredients, creating creams and skin care products for herself and friends. Soon those friends started asking her for more to keep and give as gifts: thus a business was born. In Saugerties, you can avoid the city crowds and book a massage or full facial in Savor’s only spa outside of New York City. Even if you just opt for the 30 minute min-facial, you’ll walk out with glowing baby-soft skin and a game plan for keeping toxic ingredients in Big Brand cosmetics from polluting your precious body. Facials $65-$195, massage $105 for 60 min. Each month, Langdon challenges 25-50 exhibiting artists to create a piece of work around a theme (e.g. “How art inspires poetry and poetry inspires art”), and he’s become very involved in this haven for a growing number of creatives. In August every year, 45 area artists open their studios for a week for the very popular Artist Studio Tour, and in October, the town will celebrate “Shout Out Saugerties” – to bring awareness to all forms of art (culinary, literary, fine arts) for the third year in a row. Langdon rents out a stunning three bedroom apartment above the gallery for $150-$350 per night – for all three bedrooms, two baths and a fantastic country kitchen. A real deal. 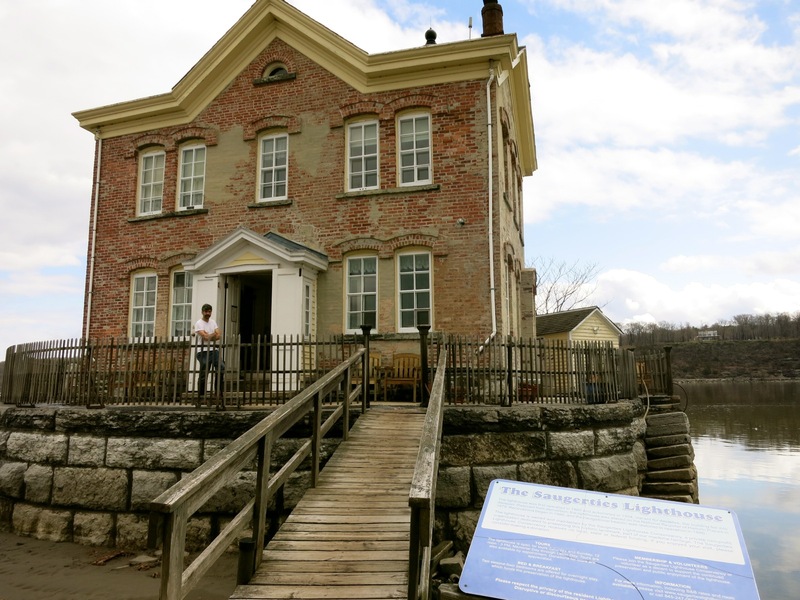 VISIT: Saugerties Lighthouse. You’ve got to hike out ½ mile each way to get to this 1869 Italianate gem (that also serves as a 2-bedroom B&B – $225 per night) right on the Hudson River. Left vacant in 1954 after it was automated, the shambled lighthouse was placed on the National Historic Register in 1979, renovated in the late 1980’s and has been operating as a year-round B&B for nearly 20 years. On Sunday afternoon, come for a tour, or plan to stay – even in wintertime. Heated by coal stoves, it’s a cozy retreat when the Hudson River flows with ice. You’ve got to hike in with your stuff (a small backpack is perfect – no need to get gussied up), but the effort, for the most fantastic views in Saugerties, is so worth it. TOUR: Opus 40. If you love eccentric characters with passions expressed as enduring attractions, you’ll love this in-the-woods expanse of bluestone ramps, stairs, pedestals, statues and ledges – all created by one man, Harvey Fite. Born to a poor family in 1903, Fite moved to upstate NY to enter the ministry, but abandoned holy rolling to become an actor. Too antsy for backstage downtime, Fite realized his talents would be best served in the fine arts, specifically, as a sculptor. 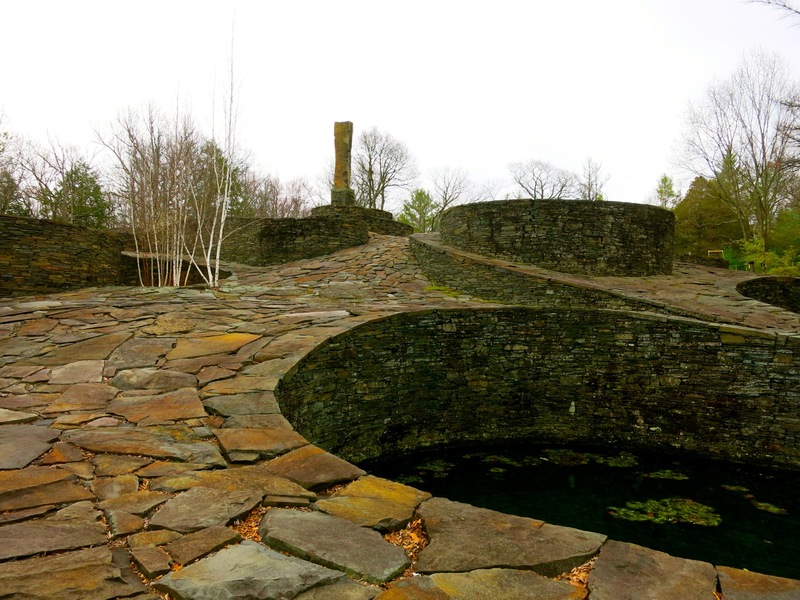 In his quest to find a “huge pile of rocks,” Fite stumbled on an abandoned bluestone quarry (from which many New York City sidewalks of the day were sourced), bought the property, built a beautiful home, sculpted statuary from abandoned quarry stone and became a Professor of Art at nearby Bard College. 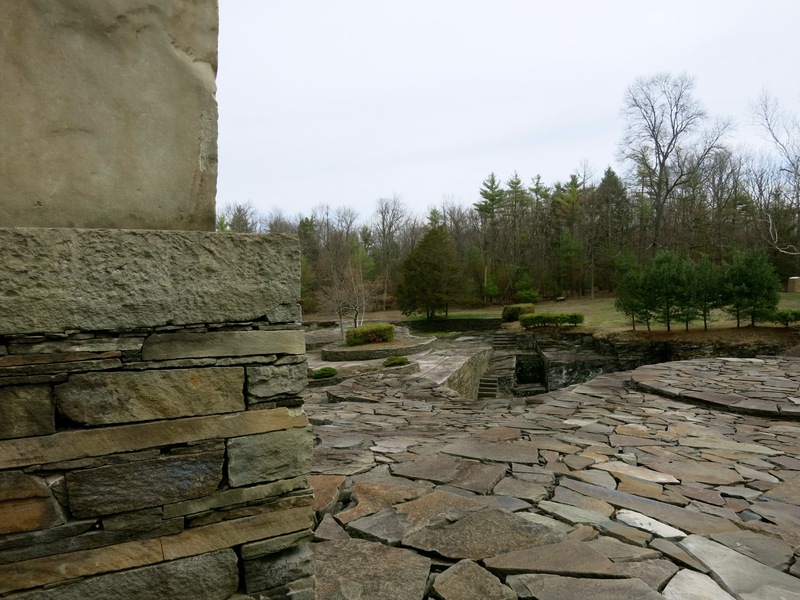 Using traditional quarryman’s tools – hammers, chisels, drills, crowbars and a boom and pulley system – Fite singlehandedly fashioned a six acre ramped and stair-stepped bluestone terrace, standing a huge monolith he found in a nearby streambed on a pedestal in the center. Fite was 37 years into his planned 40-year “opus” when he fell to his death at the age of 72. Now, Fite’s stepson, Tad Richards and Tad’s wife Pat, are stewards of Opus 40, running it as a non-profit organization. To raise money to maintain the grounds and work, the Richards host concerts and performances, and welcome visitors to explore the property. Sonny Rollins, Richie Havens and Jimmy Cliff have all played on these rocks. This year (2015), Susan Cowsill is slated to appear. It’s a fantastic, one-of-a-kind venue. Open Memorial Day through Columbus Day, Thurs-Sun and Holiday Mondays, 11-5:30, $10 adults, $3 kids. Concerts $40 per person. TOUR: Catskill Animal Sanctuary. 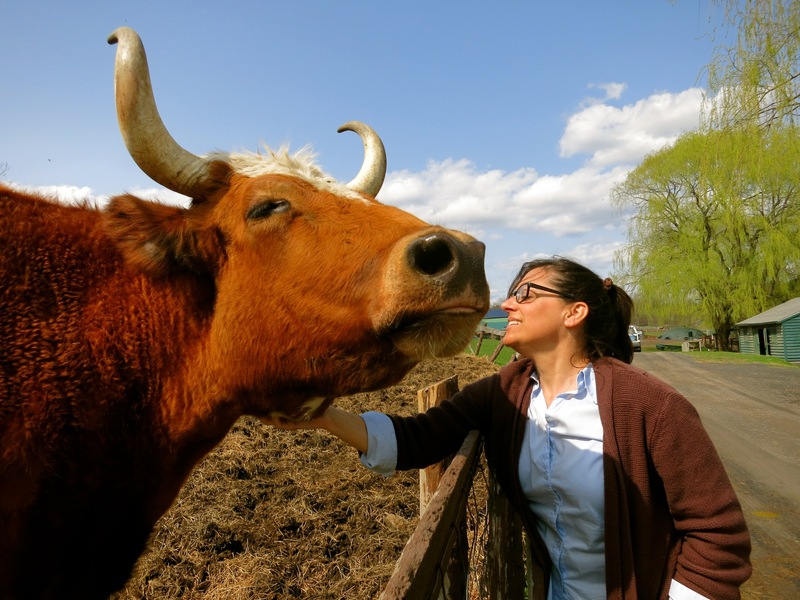 Since it opened in 2001, the CAS has rescued about 3,500 farm animals, many which run underfoot on these 110 acres, like the free-ranging creatures they are now fortunate to be. Guests are invited on weekends to interact with an assortment of animals on 1 ½-hour tours that begin every half hour from 10:30 to 2:30. You’ll hold chickens, pet sheep, pigs and cows, and learn about the “special needs” animals – like blind horses and rescued veal calves. Should you wish to stay, there’s a very pretty, newly opened B&B in a renovated Civil War era building on site. Tours $12 adults, $8, kids. Rooms with shared bath are $115-$175, suite $295. 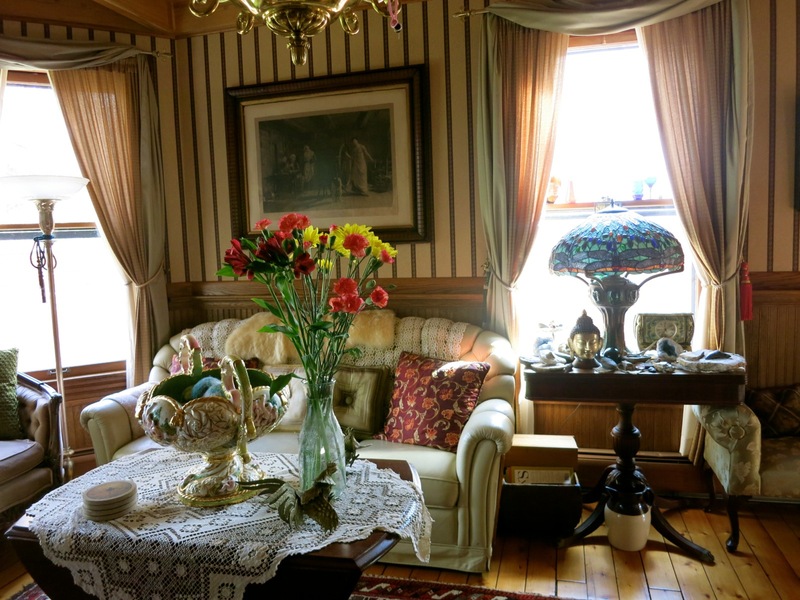 STOP IN: Du Bois-Kiersted House – Saugerties Historical Society. This 1727 stone house and barn out back have been newly renovated, though much – like the original wide plank floors and 18th century glass paned windows (some with family inscriptions) has been preserved. The newly reassembled Dutch Barn serves as Art and Cultural Heritage Gallery and is one of the oldest barns in the county. Open Sat 11-2, Sun 1-4. SHOP: Bosco’s Mercantile. There are “all kinds of goodies” in what is ostensibly a bedding store. You’ll find throws, pillows, slippers, robes – all things for a good nights sleep – as well as kitchen tools. A fun place to browse. SHOP: CCB (Capsule Collection Boutique). Great unique clothing for women you won’t find in a bunch of other stores. SHOP: Lighthouse Home and Entertaining. There’s kitchenware, sundries and a whole room devoted to kids and babies. But after next month, you won’t find “personal luxuries.” The owner is opening up Dolce Vita a few doors down, just for that very purpose. SHOP: Two indie bookstores; Inquiring Minds (helpful staff and coffee/soda bar) and Our Bookshop (rare and used books in a parlor-like room). SHOP: Lucky Chocolates. 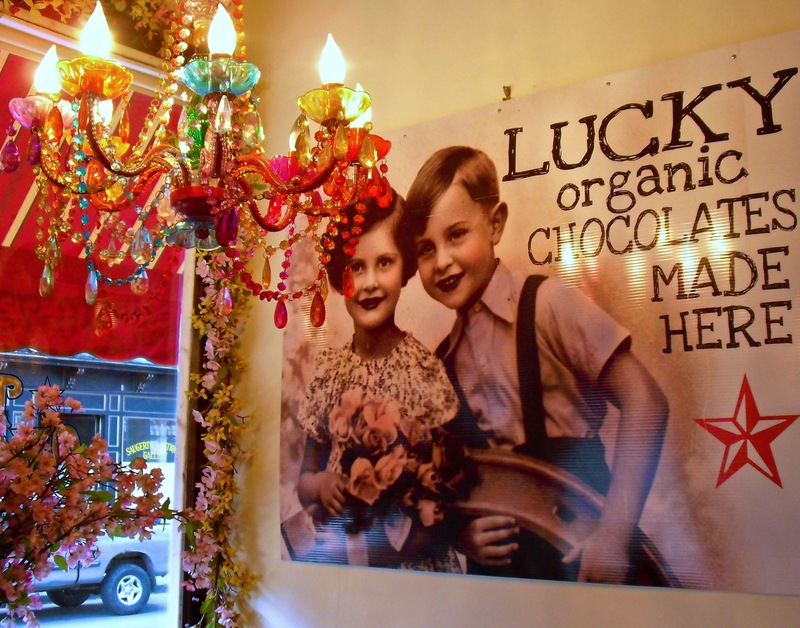 Rae Stang owns the very delicious Lucky’s, which sells not just “small batch organic chocolates” but also croissants, chili, soups and other delights. SHOP: Stop into Dig for funky clothes and cool housewares, and Radz & Rutz for new and vintage clothing and accessories. SEE: Orpheum Theater. Woman in Gold on the billing with Mall Cop 2? That’s the beauty of this indie-pop movie theater right in town. EAT: Dutch Ale House. Opened the day after Prohibition was repealed in December 1933, the Dutch Ale House was a Saugerties “dive bar” for generations, and remained the place for a pint even as it became more and more run down. Shunned by foodies, the menu featured mostly “frozen food.” That all changed when Dallas and Ted Gilpin purchased “The Dutch” in 2018, expanded it into the tee-shirt shop next door, demo’d the walls to reveal “original Saugerties-made brick,” and brought in esteemed Southern chef and BBQ king, Jonathan Botta. The Gilpins were “weekenders from NYC,” with a country house a bit north. 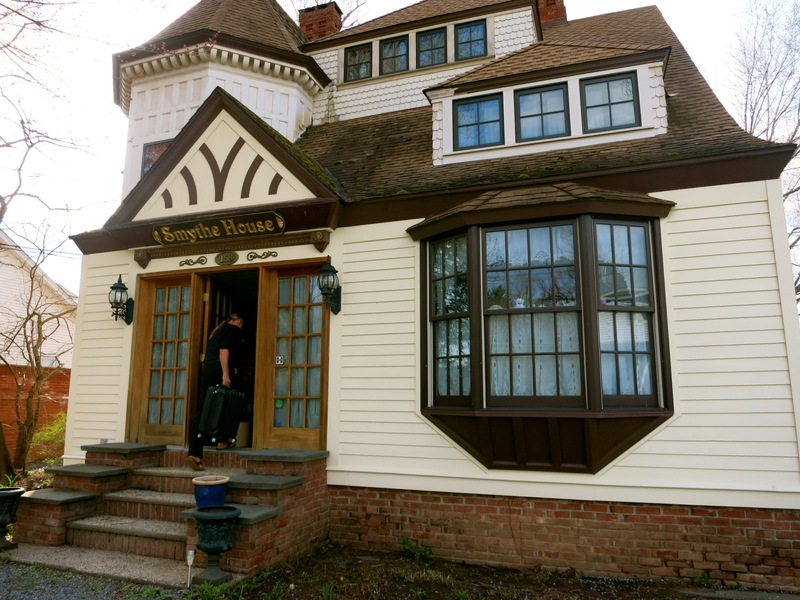 They’d stop in Saugerties on their way up for a burger and beer because they “loved the bartender,” and held their wedding rehearsal dinner in the space. When the Dutch went up for sale, Dallas left her job at Goldman Sachs, bought the restaurant, and she and Ted moved here full time (he still commutes into NYC). Botta’s menu is as far from frozen as it gets. He smokes his own meats in house, makes his sausages from scratch, and crafts his own beer-based mustards (heavy on IPA). If nothing else, you must order the Truffle Garlic Parm Frites ($10), an outlandishly mouthwatering amalgam of finely sliced parmesan cheese, grated fresh garlic, and long thin golden brown fries. But you can’t go wrong with other dishes that are quite enticing, including the Hot Smoked Salmon($20) served over a bed of greens, Pastrami Beef Ribs ($32), and Dutch Onion Soup ($7) finished with Guinness Stout. EAT: The Tavern at Diamond Mills Hotel. Serving Hudson Valley favorites “with a Mediterranean Twist,” according to Chef Giuseppe Napoli, you can get anything from a Tavern Burger ($16), Antipasti ($21) Trota in Saor (Trout, $22), Grilled Branzino, a gleaming brontosaurus-sized Moroccan Braised Lamb Shank ($21), or other perfectly prepared dishes that change seasonally. If you want something lighter, go for one of the mouthwatering Pizzettas – a cracker-thin crust cheese and veggie topped flatbread that is truly out of this world excellent. EAT/BREAKFAST/PICNIC: O &Co. The “O” stands for Olsen, as in mother-daughter duo Marianne and Elizabeth Olsen, who, with their cousin, Janelle, opened this tiny but mighty women –owned gourmet store specializing in local cheese, pastas, breads, eggs, meats, and coffee. Marianne got her start making goats milk soaps on her family goat farm and soon realized that Saugerties needed a little provision shop – so that locals had a place sell their own home-made products and food items and visitors could pick up gifts, cheese, and bread for dinner parties and picnics – and not be overwhelmed with choices. It’s a win-win for all, and now, especially for foodies who have deemed both O&Co.’s Breakfast Sandwich (two local eggs, melted gruyere, sprouts, pesto mayo, and uncured maple bacon on Sourdough bread) and Chicken Salad worthy of a long drive. EAT: Sue’s. If you want to find the locals in Saugerties, go to Sue’s on any given night. It might not offer the most innovative or obsessed-over cuisine, but recently renovated Sue’s, on 9w a mile or so from downtown, is packed and quite boisterous every day of the week because it does offer the perfect kind of food and venue for family and group get-togethers. There are actually people who go a few times week for the meatballs alone. Though Momma Costello still cooks her authentic Italian meatballs and other Italian specialties, she’s got a couple of CIA-grad relatives in the kitchen as well. So the fare runs from pizza to Wine Pairing dinners, a very popular, and reasonably priced event showcasing the best of the chefs (e.g. delectable Vegetable Terrine). 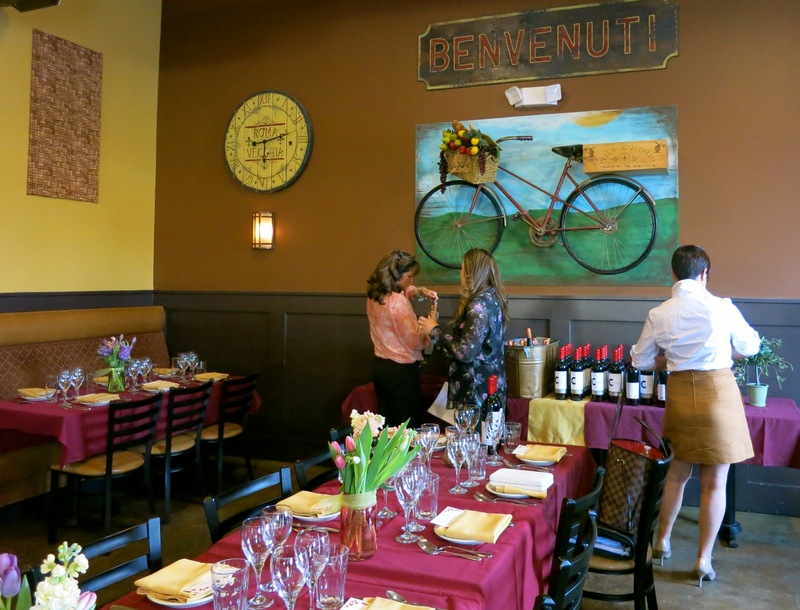 If you book your Saugerties visit to coincide with one of these Wine Pairing dinners, you will not be an out-of-town outcast. Locals will invite you into their circle like kin. EAT: Slices. 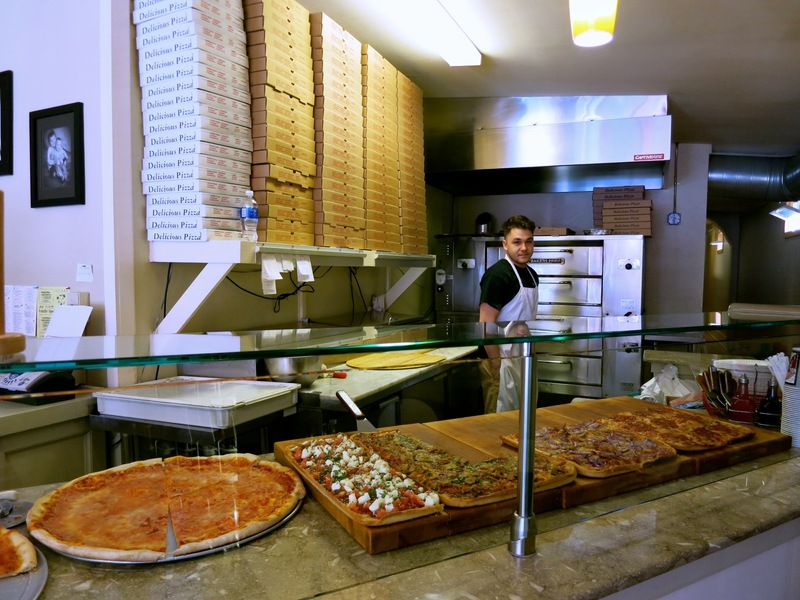 Though deep-seated pizza traditionalists might eschew the light and crispy crusts here, I’m not alone in singing the praises of a slice of Slice’s pie. It is fantastic. One piece makes for a very tasty lunch break. 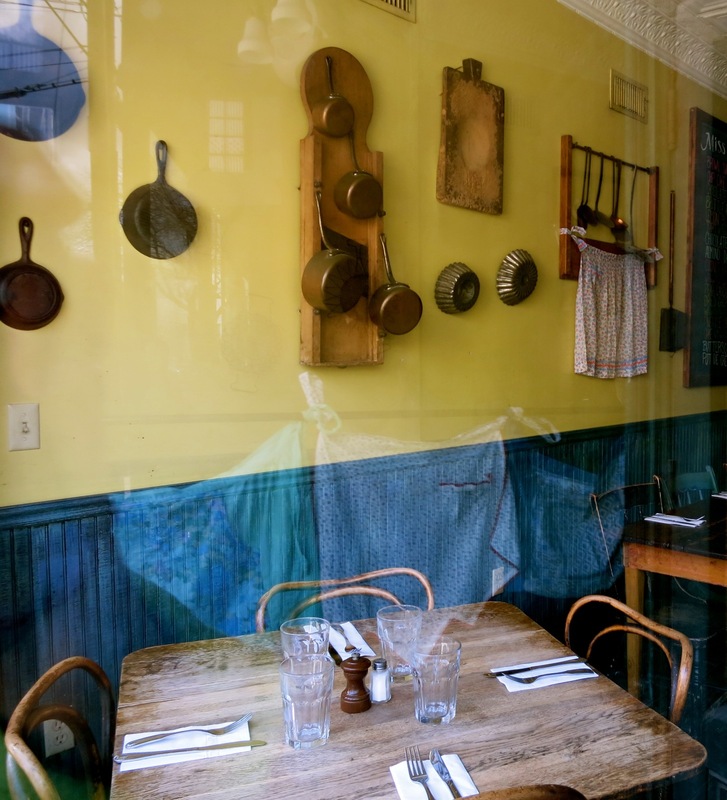 EAT: Locals recommend – Miss Lucy’s Kitchen for down home, stovetop goodness, and Love Bites for unpretentious farm-to-table casual fare. STAY: Diamond Mills Hotel. This small luxury hotel, perched on a cliff overlooking the Esopus Creek, a man-made dam, and picturesque bridge, is a Maven Favorite with its own write-up here. Knickknacks and art abound, reflecting the interests of the globetrotting and spiritually-minded owners David and Justine Smythe: David, an instructor at the Culinary Institute of America, and Justine a graduate of the CIA. You’ll find Buddhas to 300 year old barn beams in the bedrooms (from a local barn reclamation). 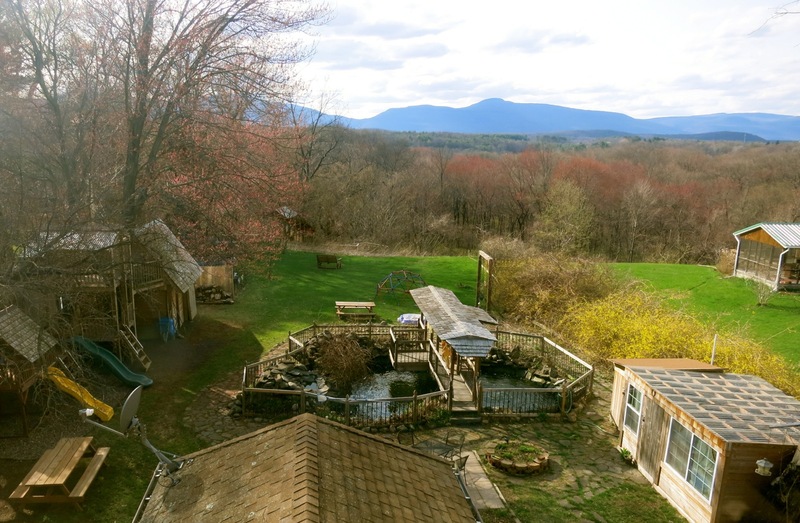 And in the backyard, a man-made fish pond, play-sets and tremendous views of the Catskill Mountains. 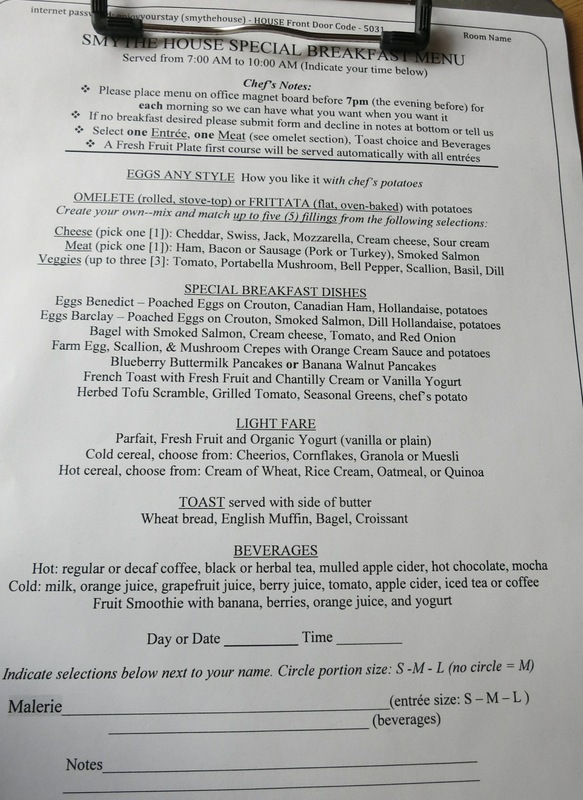 As this is the only B&B in this area owned and operated by professional chefs, at check-in you’ll receive a special Breakfast Request menu printed with your name. You can choose to have your breakfast any time between 7am and 10am, and from an assortment of made-to-order dishes – omelets, toasts, even a lox and bagel platter. Room décor is busy, but surprisingly calming. You’ll find a plate of chocolates from Krause’s Chocolates and biscotti from Hudson Valley Dessert Company on arrival. Perhaps most unique are the bathrooms, lovingly restored by David. One sports a jet-age steam shower and clawfoot tub and another features a steam-bed rock wall. Rooms $225-$295 include made to order gourmet breakfast, welcome treats, free wi-fi, parking. 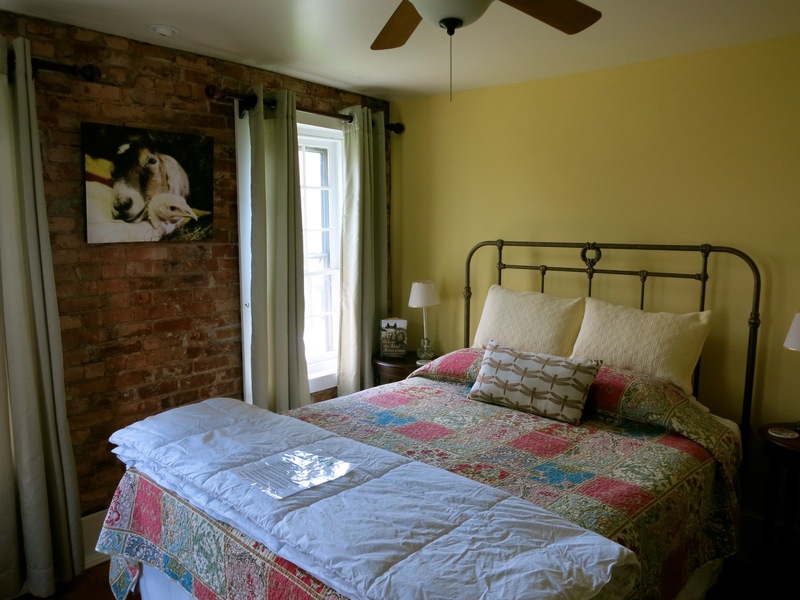 STAY: For a small town, Saugerties has a good number of worthy, and might I say, offbeat, places to stay. You’ll hear roosters crowing and cows mooing morning and night at the Homestead Inn at Catskill Animal Sanctuary (picture above; $115-$175 shared bath , suite $295), watch the Hudson River go right by your back deck at the Saugerties Lighthouse ($225), stay in a grand mansion at Renwick Clifton House B&B ($210-$300). We love our town! 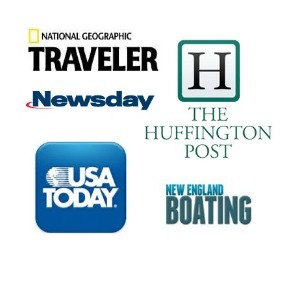 Thank you for including us in this great round up. Thanks for reading and commenting, Melanie! I do rely on locals to add the “best” of their towns – so thanks so much for the tips. I graduated Saugerties high school in 1970. I cannot believe the changes since then. I have to get back there some day. I knew Saugerties had changed a lot since I lived there. I grew up there from 1957 to 1971. I sure would like to go back to see all the great changes. Great article! As a local I did want to point out one correction about the location of Sue’s Restaurant. It is actually located on Rt. 9w, which runs up and meets Main St. in the village. Rt. 9w is the main road that will take you south of the village. For GPS purposes the address is 5 Arthur Ln., Saugerties, NY. 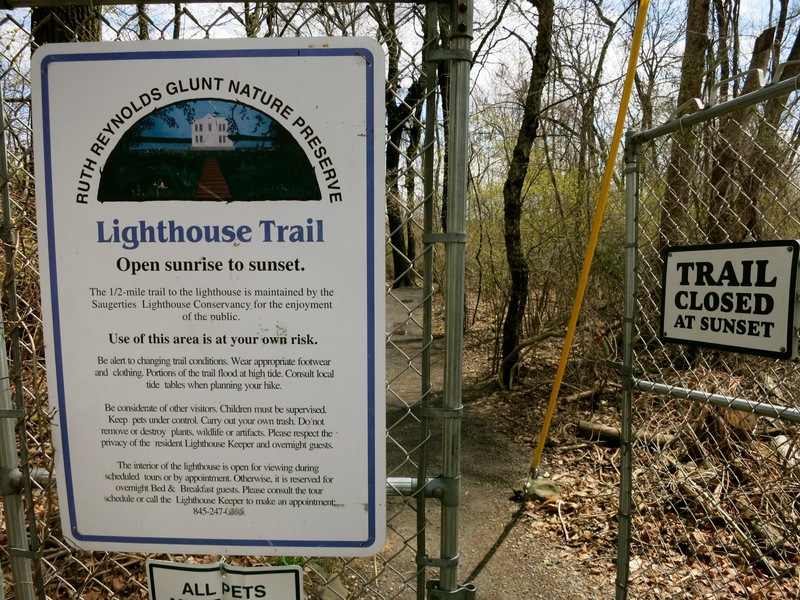 (It is located right on 9w but Arthur Ln is the adjacent side street with an entrance to the parking lot). Sue’s is definitely worth a stop!